James Martinez, along with his talented illustrator has published another great children’s book. This time he talks about grief for a pet. He has Patches, from “Patches Awesome Day”, discuss this very important emotion shared by all of us with his “Fuzzy Friend”. Timothy T. Civick has chosen a squirrel as the “Fuzzy Friend”, although it could be any animal. 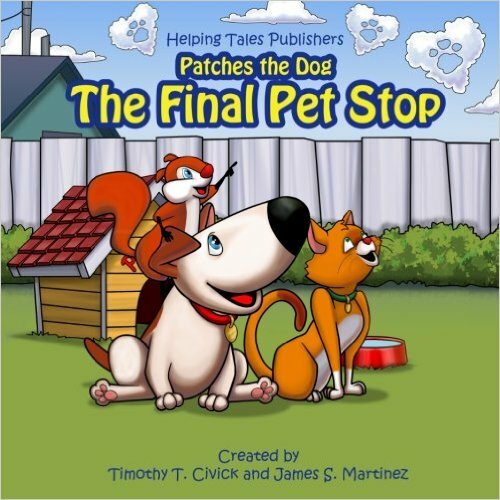 James addresses the loss of a pet by explaining “The Final Pet Stop” as a wonderful place where the pets are always playing and are never sick. He describes all of their activities and explains that there are different places for different animals. Children will be comforted as they learn to deal with the loss of their best friend, no matter what kind of pet it is. The book is a great one for parents to read to their children as they help the children sort out their feelings. The rhyming quality of James’ writing is soothing and creates a very positive approach to a sensitive subject. And watch for more books by this gifted author and talented illustrator. Part of the sales of the books goes to various charities. 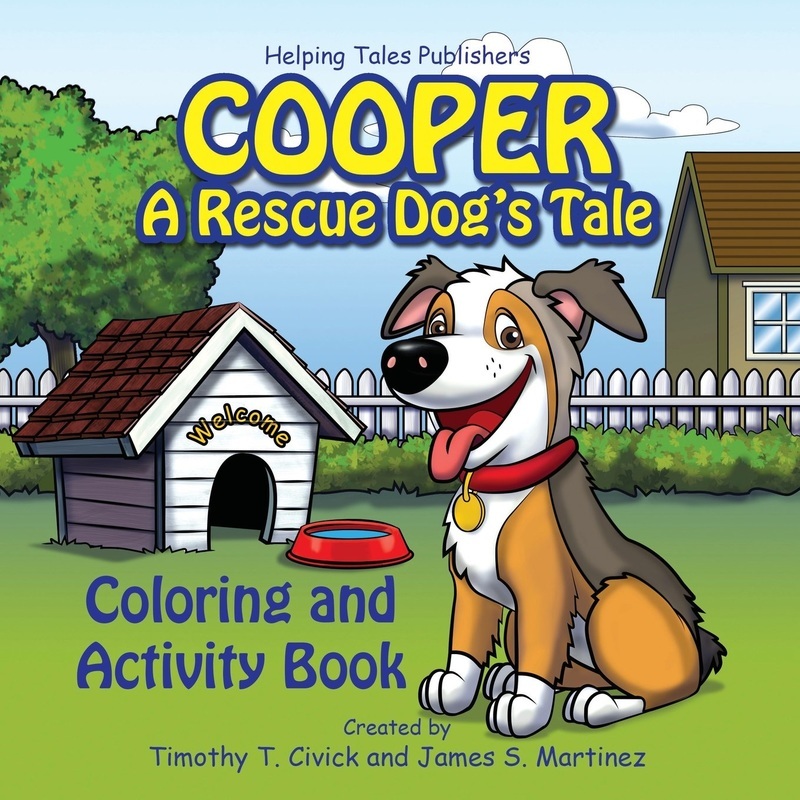 ​The fantastic team of James S. Martinez and Timothy T. Civick have created another terrific book; this time an activity book that tells a story entitled Cooper: A Rescue Dog’s Tale. First, there is the story about Cooper. He is a pup who is rescued and goes to several different homes until… well read it and find out. Then, before, after or while you read it, you can color the pictures yourself and play the games. The message that these two convey is that you can help rescue dogs (and other rescue animals) in several ways as they tell a thoughtful and loving story in rhyme. I have not seen books on the subject that are as well-told as the series of books that James and Tim create. Cooper is another outstanding book in their series of books about being helpers and caring for your animals. This is another book by these two that is not to be missed by children and adults alike. James and Tim donate part of the sales of their books to charities, so when you buy a book, you are helping someone or a shelter. Find out other ways you can help.